Some of you who have visted the site in the last week may have seen that the drilling team have arrived to look for water. So far they’ve found an awful lot of wet clay, a little oil and rumours of gas reserves! 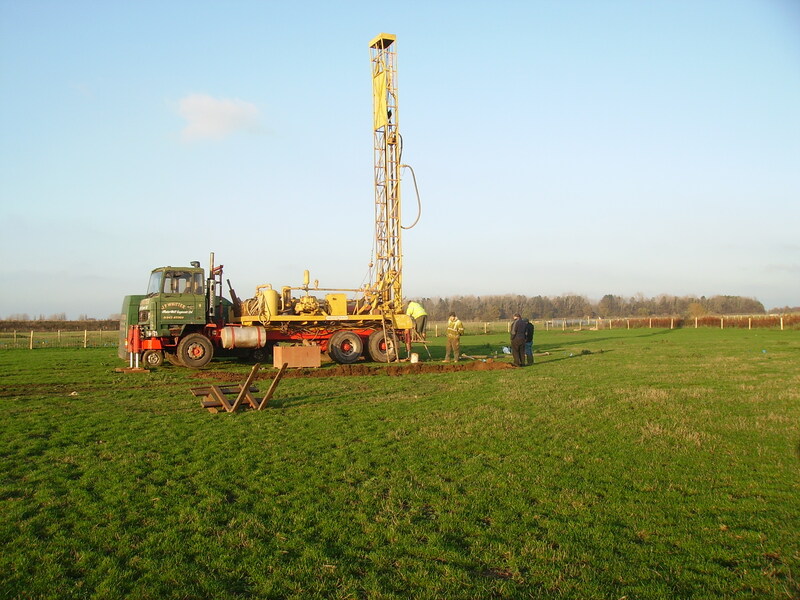 Today they will be cleaning up the drilling area a little and then starting into the sandstone which they believe caps the water. Watch this space!